CHP MP and journalist Mustafa Balbay. As of September 25, 2012 he has been detained for 1290 days. So far, he spent 576 days of his detention alone in a cell. He is in detention for 472 days after he is elected as a MP. I wanted to ask the chief judge why such a practice was necessary in an environment where the right of defense was constantly shrinking and where proceedings had almost turned into torture. This situation is indeed applicable to all defendants. They also wanted to speak and express the injustice and unlawfulness. Upon this, the chief justice adjourned the hearing and left the hall with the panel of judges. One way or another, I wanted to explain to the panel of judges the unlawfulness that we were experiencing and wanted it to be recorded, not only for today but also for the future. I wrote a petition, I sent it to the chief judge through bailiff Hasan Bey. The court proceeded the hearing without defendants that day, also in line with the demand of the witness to be heard on the same day. In the evening, at around 5:30 p.m., all of us were ushered to the hall. The chief justice read the decisions to our faces. Among my “crimes” was added “leaving” the trial hall. As a matter of fact, there are video camera records present. Everything happened as I have said above: I was in the hall, there was no action such as leaving the hall in protest. There are dozens of microphones hanging two meters above us in the hall and every moment of the trial is recorded by cameras. In other words, it is possible to overlap voices and images. Journalists, lawyers and observers are all in the hall. Even in such a multi-recorded and multi-witnessed situation, the panel can make determinations contrary to the facts. I leave it to the reader to assess how justice is being conducted. I want to share with you in bullet points the stage to which the Ergenekon case has reached. 1. Even though it looks as if the case is a public, open one, the truth is that it is forgotten. In a case in which 20 indictments of 7,000 pages have been merged, whatever a witness says on one trial day becomes newsworthy, and that’s all. The case has become an impossible-to-describe structure that takes shape according to how you handle it. 2. The Specially Authorized Courts (ÖYM) will be shut down after they finish their files. In other words, since Ergenekon is the thickest and most complicated file, the life of the ÖYM is as long as the Ergenekon cases. The so-called “case of the century” is being dealt with by a court that is set to be removed. No state where the rule of law is respected could have such a practice. 3. These courts feel somehow independent of the laws that Parliament has made. They produce their own procedures. They self-grant authorization to themselves. This practice did not exist even in the darkest days of the country. 4. The third judicial package that Parliament passed has established that the continuation of arrests will be more difficult and the court will have to explain separately for each arrested defendant the detailed reason for their arrest. Silivri did just the opposite of this: it made the continuation of arrests easier. Before the third justice package was passed, the defendants were given the right to speak once a month. A review of the defendant’s arrest was then conducted after this 15 minute speech. This practice was lifted in Silivri in July. However, while we were sentenced to a ban from hearings on Sept. 18, the continuation of arrests was decided upon without listening to the defendants or their lawyers. 5. There is no law and justice in Silivri, there is only punishment. The only thing expected is when the sentences will be announced. No conscience can accept this. We have come to the point where the law has ended. As long as this cruelty continues, everybody is under threat. In an environment where methods of communication have become so strong and diverse, let everybody communicate with each other and refuse to accept this unlawfulness. Who knows, maybe our number will turn out to be very many. 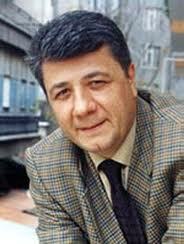 Mustafa Balbay is a columnist for daily Cumhuriyet in which this piece was published on Sept. 22. It was translated into English by the Daily News staff. Balbay is currently under arrest at Silivri Prison near Istanbul. As of September 25, 2012 he has been detained for 1290 days. So far, he spent 576 days of his detention alone in a cell. He is in detention for 472 days after he is elected as a MP. He was elected as a Member of Parliament on the general elections of 2011.